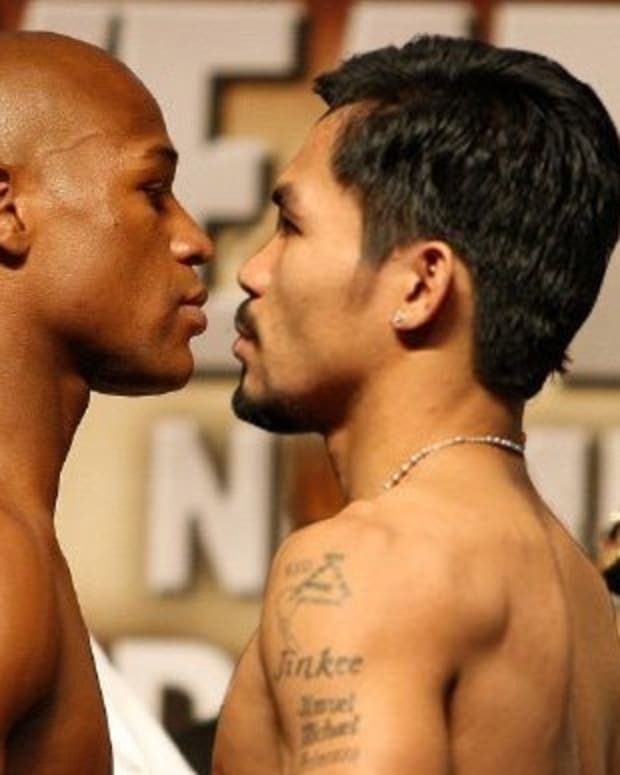 How likely is a fight between Manny Pacquiao and Floyd Mayweather Jr. at some point in the foreseeable future? Pretty likely. Mind you, this isn’t the opinion of boxing writers, fans of the sport, and casual observers. This is a sentiment that has been echoed repeatedly by Pacquiao’s own team. Pacquiao, 34, is coming off a dominant victory against Brandon Rios that prolonged his career, but did little else. Although Rios is a very solid competitor, beating up on him didn’t erase the memorable image of Pacquiao laying face first on the ground last December. 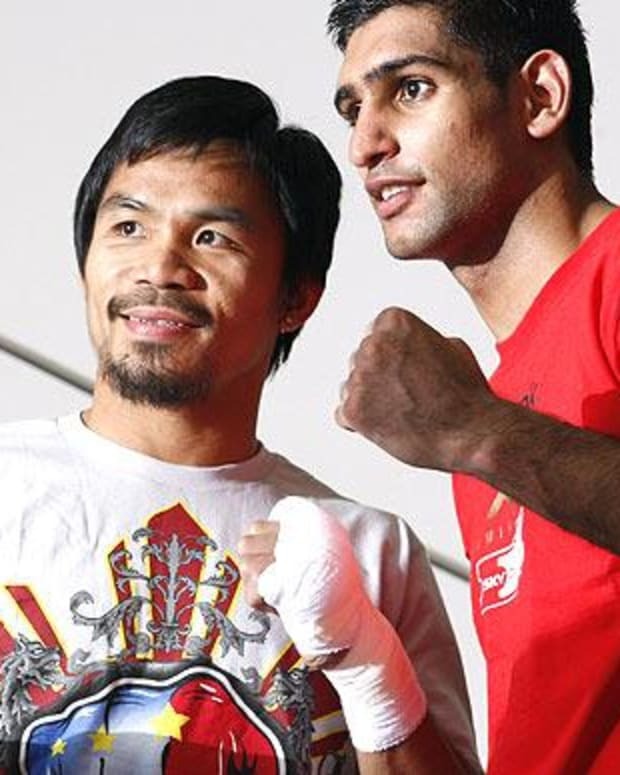 The Filipino star needs a quality win against a legit opponent. Thus far, the names mentioned have been Juan Manuel Marquez, who has publicly said he has no interest in a fifth bout, and Timothy Bradley, who has expressed some interest. Mayweather, 36, is coming off an equally dominant victory over Saul ‘Canelo’ Alvarez. The youngster was billed as someone who would supposedly challenge Mayweather for the first time in years. This was a ludicrous notion for two reasons: 1.) the Austin Trout bout exposed some very obvious holes in Alvarez’s game and 2.) Miguel Cotto challenged Mayweather just one fight earlier, so the idea that he hasn’t been challenged in years is nonsensical. There have been some rumors about Amir Khan being Mayweather’s next opponent, but everyone is sort of just gritting their teeth and hoping that the idea is too stupid to be true. Khan is a solid fighter, but he isn’t what he was thought to be two years ago. Mayweather would own him. Worse yet, everyone knows Mayweather would own him – translating into Robert Guerrero-like numbers for the PPV. Recently, Top Rank boss Bob Arum, one of the people (for better or worse) Pacquiao trusts most in his camp, was asked if a Mayweather-Pacquiao super fight was feasible. "Yes, if people stop posturing,” he told USA Today. “Absolutely. It can happen. It&apos;s stupid if it doesn&apos;t happen. They owe it to the sport. What, is Mayweather going to fight Amir Khan? Who gives a …? “We&apos;ve announced we&apos;re willing to make anything happen. Now somebody has got to contact us so we can sit down and explore how it can happen. Isn&apos;t that the way normal people deal? You can&apos;t wave a wand. I&apos;ve said unequivocally, we&apos;re ready to sit down and see if a deal can be reached." Obviously the problem here is that we have heard all this before. Pacquiao is willing to talk to Mayweather. 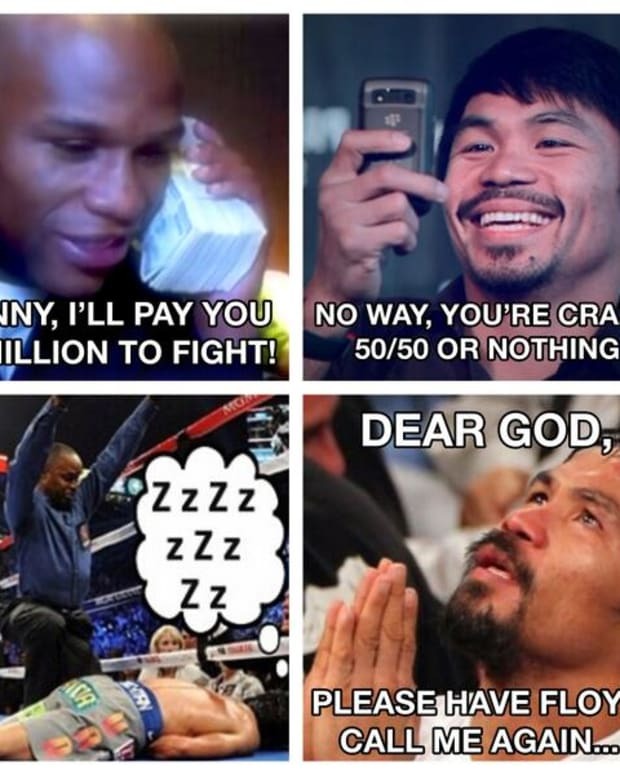 Mayweather is willing to talk to Pacquiao. Only nobody ever talks. Will the fact that Pacquiao and Mayweather are creeping towards the end of their careers, the lack of quality fights available, and pressure from the major networks both guys work with change all that?